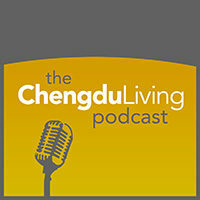 In this episode of the podcast I sit down with one previous guest and one new one, both knowledgeable on what it takes to run and sustain an expat-facing business in Chengdu. In this episode we talk about what it takes to run and sustain a business in Chengdu as a foreigner, why some local bars and restaurants flourish and others flounder, and what exactly happened to Johnny 5 Donuts. Johnny: in just over two years, Johnny opened the eponymous Johnny 5 Donuts shop in Tongzilin and established himself as a staple in the city’s expat food scene. 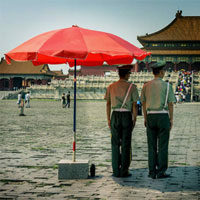 Chris: since dedicating himself to resurrecting Chengdu dive bar mainstay Dave’s Oasis a year ago, the bar has recently enjoyed its most prosperous month since Chris took leadership. Dave’s Oasis has been open for 16 years. They fail because they seem like fun to start. It’s an exciting new project and everything is interesting. The novelty is intoxicating. Then, after the first few months, the reality of having to run a business sinks in. The owner – who started the whole thing from a sense of seeking novelty – wants to move on to the next new project. The business begins to flounder as the only thing keeping it afloat was the owner’s constant attention. She’s busy with other things, and when the lease expires in 6-12 months, she closes it up and moves on. Seen it happen a million times. Then they get in way over their heads not realizing they now have to work 70-100 hour weeks and now figure out accounting, marketing, customer service, food prep/supply/storage, human resources/staffing, cleaning, tweaking and adjusting the business model while taking in a meager hourly salary if they can manage to make a profit, which usually doesn’t happen until after several months of operation. The audio on iTunes is from the previous podcast (#22). Had to come over here to listen to the right one. Thanks for the heads up Xavihey, there was a problem with the podcast feed that has been fixed. If it’s showing the wrong episode in your podcast app, you may have to delete the episode and download again to fix it. Sorry for the hassle! Man, I can really empathize with this comment. I have seen the same thing many times also. The idea of running something like a bar or a restaurant and the reality of doing so are two very different things. As mentioned in the podcast by Chris, a lot of the proprietors of places which come up in our conversation do not have experience founding or managing businesses, so in a way Chengdu is a place where a lot of people cut their teeth. There are other factors as well but that is a big one. That’s true, when you are pursuing a new endeavor it is easy to be motivated and committed but when that initial excitement wears off and it’s no longer novel, that is a real test of commitment which a lot of small businesses do not get past. In the case of Johnny 5 and Dave’s Oasis (as both Johnny and Chris mention) it’s tough to always be “on” when you’re dealing with people all day. And it’s not so easy to just outsource that and have other people be the face of your business. Nice podcast. The only issue I have is that everybody is talking about expat businesses but in reality those are only restaurants and bars. I was hoping to find out about other areas. I am curious if more expats will start to explore other possibilities in and outside service industry. But for non-local this might be just too difficult. There are expats running business in other industries but from what I’ve observed a huge percentage are in the service industry. There are others though, check out the podcast with the Walnut founder Michael from Canada, published recently.